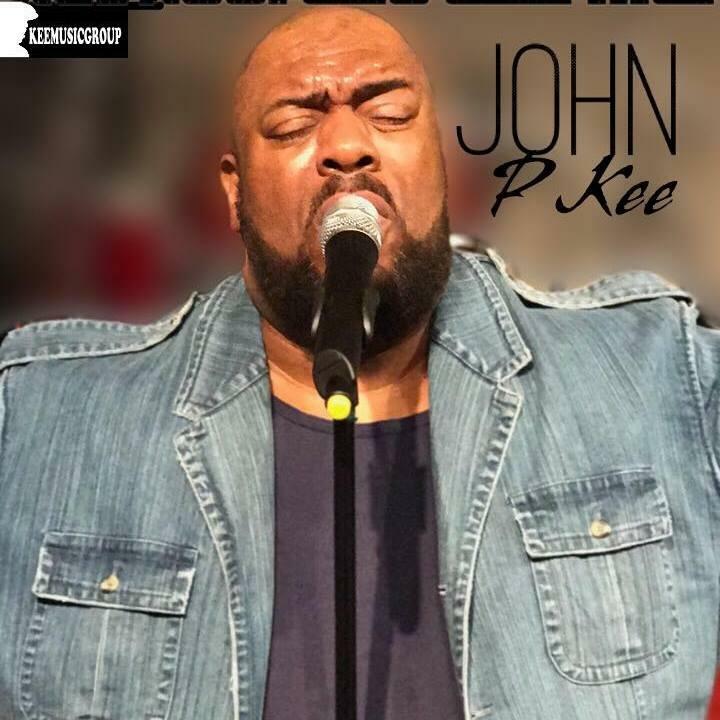 Award-winning gospel artist John P. Kee will be the headliner of this year’s Gospelfest on Monday at the Wichita Riverfest. Kee is the 15th child of 16 raised near Durham, North Carolina. Kee’s parents knew he had a musical gift early on and sent him to the North Carolina School of the Arts in Winston-Salem. Kee then moved to California for a time, attending a conservatory school in Marysville. He continued to sharpen his instrumental and vocal skills while working with jazz, pop and R&B greats, such as Phyllis Hyman, Donald Byrd and the Blackbyrds, and Cameo. At a young age, he moved to Charlotte, where he worked as a vocal trainer with Miss Black Universe Pageant contestants. "From then on," Kee says, "I think it just took off and God has been real good to me." Carla Eckels: You mentioned playing with Donald Byrd, and of course Cameo and some other groups, and you were so young at the time. And I think it’s interesting because you’ve always been a very transparent artist and you’ve shared in the past about what took place once you got back to North Carolina and how the experience changed your life. Could you share a little bit? John P. Kee: Absolutely. After the Miss Black Universe Pageant, I started working in a little green store in that Double Oaks community of Charlotte and I began to sell drugs out of the store for like two and a half, three years. God saved me on the street of a very, very horrible -- a drug deal went bad and I lost a dear friend in my face and I tell you, I promised God if he got me home that night, I’d surrender. So I tell people all the time, even those who are outside the will of God, sometimes when we testify that there was a seed inside of us and it caused us to really, really have that day of reckoning. You know, Grandma’s prayers, I tell everybody, they really worked. Here’s what’s really cool about this story. I surrendered to God that night and I’ve been on a mission, from that day to this day, to go outside the box and be a blessing to God’s people. So now, I pastor and own almost 52 acres in the heart of the city, right in the neighborhood that I poisoned. That store is right across the street from my church. God has just really blessed me over the years to have 63 active programs outside the four-wall structure that goes out and touches the heart of his people. You are known for giving, and I remember even in the concerts in Wichita where you have given to people in the crowd. I’m curious, when you think about across the country right now, people are trying to get young people in their churches and young people are saying , "Where is the relevancy?" And I want to ask you about that: How are you able to be successful in that area? Well, it’s a task. I will not continue this interview making you think it’s easy, because it’s not. Last Sunday, I did a "Youth for Christ" party ages 12 to 21, let them come back and we bought pizza and had a real, live party with the young people. You’ve got to interact with them. You can’t shut them up, you got to hear. I heard my daughters arguing, “Who was the best, Nicki Minaj or Cardi B?” You’ve got to get in those conversations and stop being so spiritual that you can’t speak to these babies. Social media has changed the game and the interest of coming to church and the word of God is so far from these young people, so you’ve got to be innovative. I have a night court program where I open my church up at 10 o’clock at night until 2:30, 3 in the morning, and these young men come and play basketball, play pool, play cards, play chess, you know. You’ve got to create ways to reach them and I’m excited about what we do. We have been blessed in that area, but it’s a task and I say to all the preachers, teachers, evangelists, those that are listening, you’ve got to find a way to reach them and you can’t do it by staying in house waiting on them to come, you’ve got to go get them. Do you have a go-to John P. Kee song? Do you have a favorite that you listen to from time to time? Yes, “Standing in the Need” is my baby. The young lady that is in that song still goes to my church. She is about 34 or 35. She’s a beautiful young lady. God healed her body and she’s still alive and so every now and then, I’ll sing that song and dedicate that to her but yeah, I love that, that song minsters. Matter of fact, get ready, Wichita, because I promise, I’m going to sing it when I come! Finally, Pastor Kee, can you tell us what people can expect when you come? There might be some that will be introduced for the first time to John P. Kee at Gospelfest. Real simple: Tell them [to] wear some dancing shoes because we’re coming and we are going to be there to inspire and encourage mama, grandmama, the children, Uncle Henry, everybody. We’re going to have a ball. And listen, since I’ve been to Wichita before and we are coming back and it’s my birthday, we might even open up the request line and sing what they tell us to! 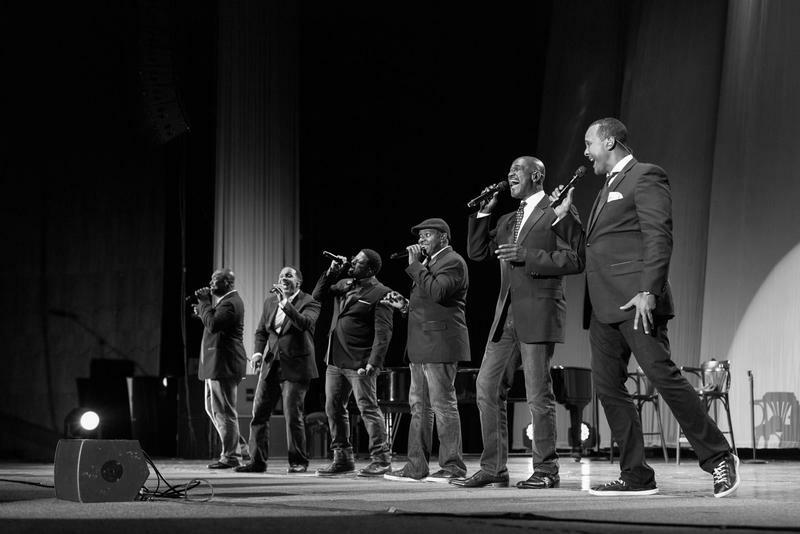 For nearly 35 years, the members of Take 6 have been captivating audiences around the world with their vocal talent. The group is one of the most celebrated vocal groups in history with 10 Grammy wins, 10 Dove Gospel Music Awards, a Soul Train Award, Jazz Honors and more. The sextet has collaborated with such artists as Stevie Wonder, Al Jarreau, Ella Fitzgerald, The Manhattan Transfer and KD Lang.